Daedal Aviation located in Miranda, is an aviation consultancy specialising in aircraft asset management solutions to the commercial aircraft leasing, financing and operating community. They work with a number of globally renowned lessors, financiers and operators, offering a suite of services that encompass the technical, commercial and legal aspects of aircraft operation. 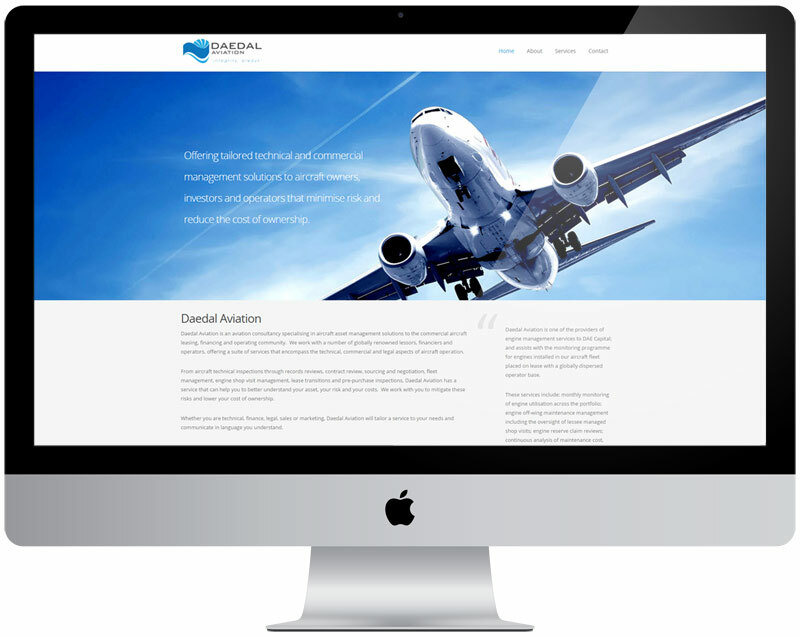 Paisley developed a simple WordPress CMS based website for Daedal Aviation in Miranda to help create an ever expanding online presence for their company. Using WordPress the owners are able to update every piece of content on the site with ease, this is all wrapped up in a responsive template for mobile devices as well.